Cake Smashes are so much fun! Its a perfect way to celebrate your little ones birthday. There not exclusive to 1 year old, toddlers can enjoy them too! All edited images on disc with full copyright, so you can use on invites, canvases etc. Cake & props included - bunting, Happy birthday sign (fabric) Spoon and cake stand. 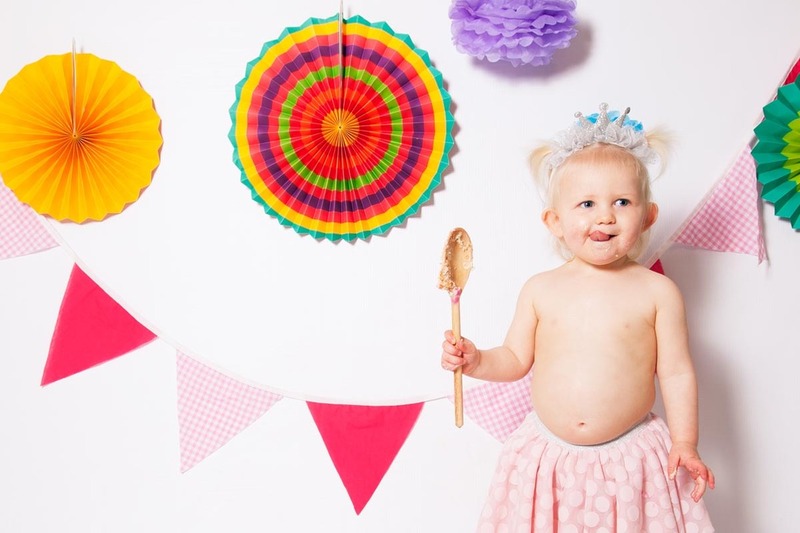 You are welcome to bring along anything else, prop wise to make the shoot more unique to your little one. Upcoming studio dates are below the gallery, if you would like more information or to book then please get in touch!